Our family is always happy together. That is why I love traveling with them. Unilab continues to produce quality products — food supplements, over-the-counter drugs, and prescription medications — for the entire family. Their United Home supplements and over-the-counter medications get us through simple conditions and ailments. And at a price that won’t hurt our pockets, too. That is very important nowadays, as we try to stretch our budget. These United Home products are for relief and prevention. Have them handy at home to be healthy together. 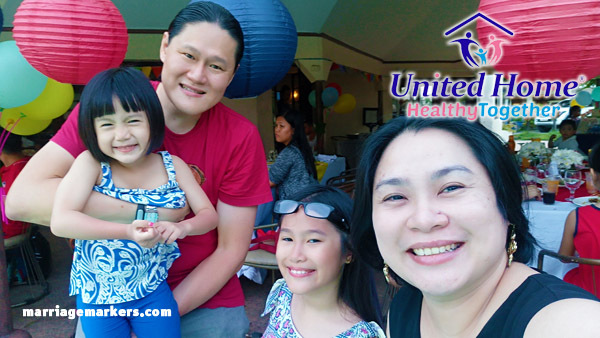 Here, I highlight four of the most trusted products of United Home for different needs of family members. 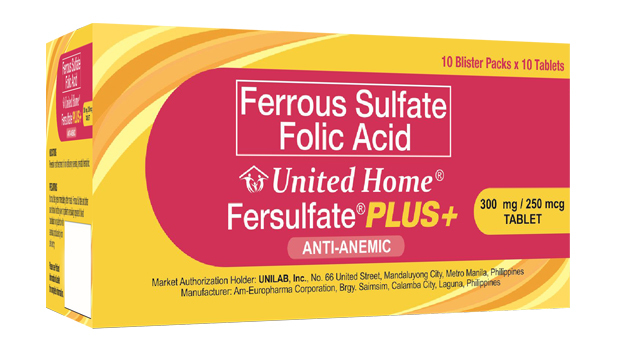 For the pregnant mom in the family, it is recommended that you take Fersulfate Plus+. Its Ferrous Sulfate Heptahydrate content of 300mg is equivalent to 60mg elemental iron. Plus it contains 250 mcg Folic Acid. It is in tablet form and is only P3.50 each–cheaper than what I have taken when I was pregnant. It is good for the prevention and treatment of iron deficiency anemia. It also promotes healthy pregnancy for the mother and baby, healthy blood, and the avoidance of birth defects. With its price, there’s no reason that you should not take this when pregnant. 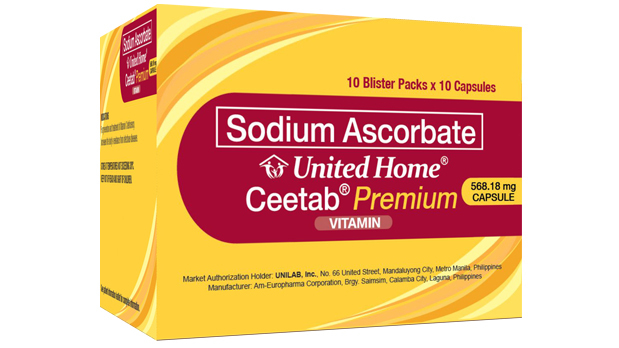 Ceetab Premium is 568.18mg of Sodium Ascorbate, the non-acidic Vitamin C. It increases the body’s resistance and is used to treat Vitamin C deficiency. At only P4.50 per capsule, it is by far the cheapest sodium ascorbate brand I know. So have a box of this for the older kids and adults in your family. 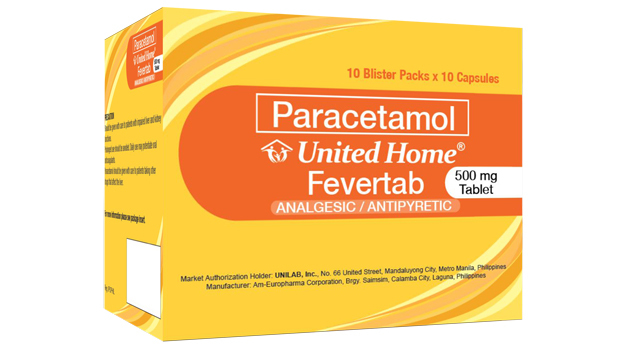 Paracetamol 500 mg is the content of Fevertab. As we all know, paracetamol is a mild medication for fever reduction as the relief of minor aches and pains. And it’s only P1.50. So always have at least 10 of these tablets in your medicine cabinet for sudden onset for fever. 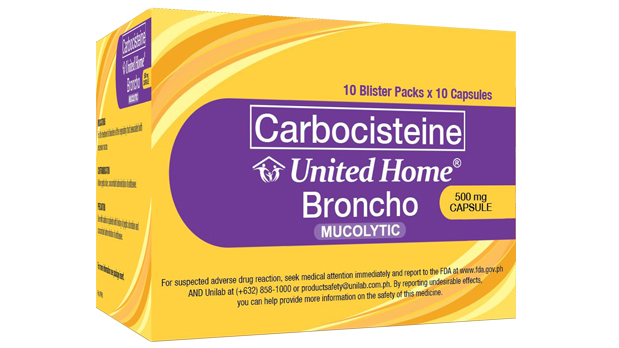 Broncho is 500mg of Carbocisteine capsule, which gives relief to cough characterized by excessive or sticky sputum or phlegm. It helps treat respiratory disorders, such as acute or chronic bronchitis and chronic obstructive pulmonary disease (COPD). At P4.50, this is swak sa family budget! In my family, we are regular users of Unilab products. Take for example, Conzace Multivitamins and Minerals supplement. We have been using this for more eight years already, just as old as my eldest. For the kids, there’s Ceelin Chewables, too. We love Unilab! 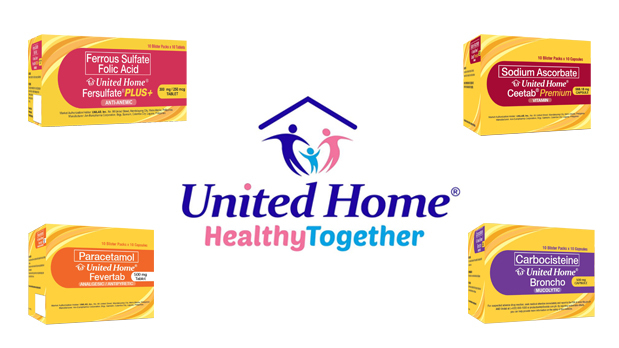 Author’s note: United Home products are available in leading drugstores nationwide. In Bacolod, we frequent the Negros Grace Pharmacy. If symptoms persist, consult your family physician.